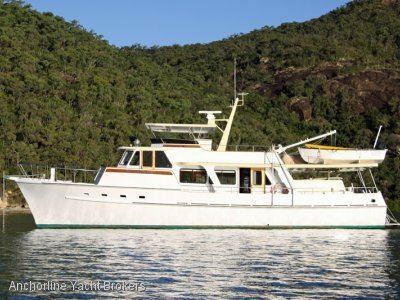 Delivered new into Australia in 2012, this Selene 54 Ocean Trawler is equipped for long range cruising and has been maintained in exceptional condition from new. 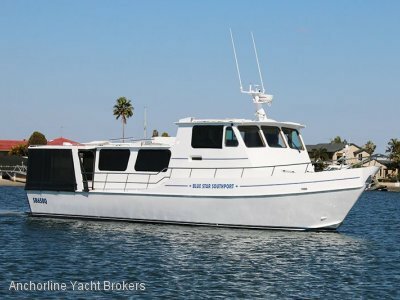 With a 450hp Cummins main engine, Yanmar wing engine, Hydraulic stabilizers and bow and stern thrusters, she is a true blue water cruiser that is economical to run, very comfortable to cruise aboard and easily maneuvered in confined marinas. Her great three cabin layout includes a mid-ship master stateroom, island berth cabin and a two berth guest's accommodation. 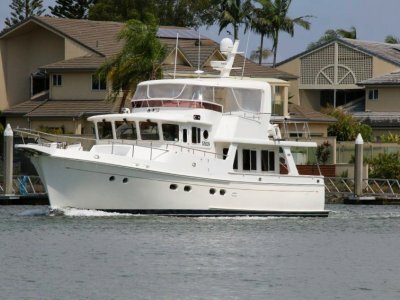 Professionally maintained and recently antifouled, she is ready to take you cruising. 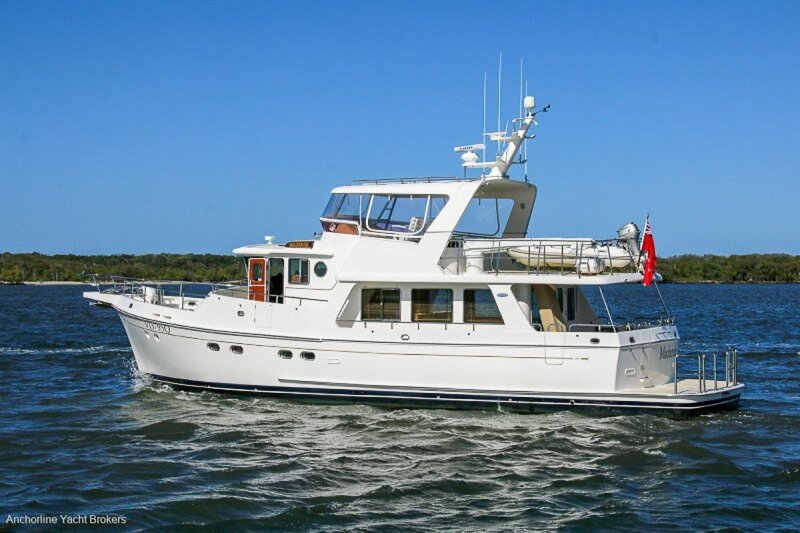 Without a doubt one of the best presented pilothouse motor cruisers currently available. With a very impressive inventory and built for a knowledgeable owner. Fastidiously maintained from new. Inspection highly recommended and will not disappoint. Please contact Andrew Fielding (0438 771 439) or Garth Fielding (0408 755 337) for further details. Teak laid cockpit. 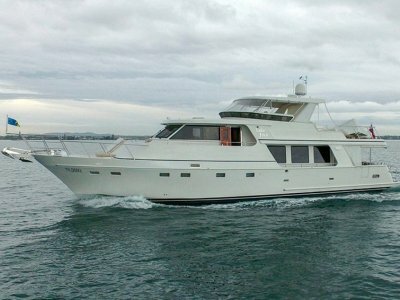 Non skid fibreglass foredeck and flybridge decks. Furuno Depth Sounder (with 1kw transducer), GPS/Plotter, Radar (4kw open scanner) and Auto Pilot. Wesmar Hydraulic Stabilizers with 9' finds.